This photograph comes from an album of images taken on the Glen Iris Estate probably around 1900. 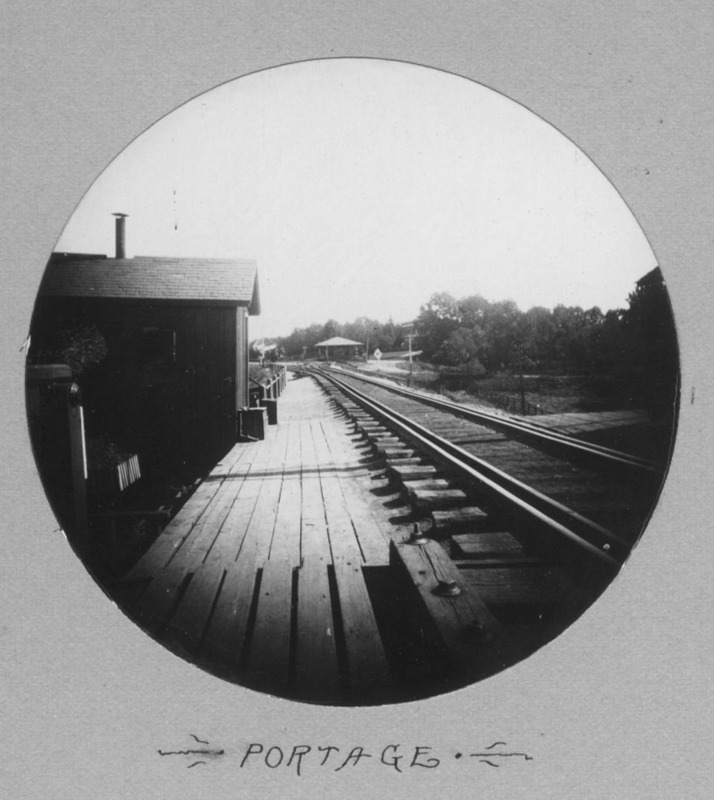 The photograph was taken on the end of the Portage Bridge, looking east along the Erie Railroad tracks. The building to the left was probably for the watchmen, the Portage railroad station is the low building in the center. 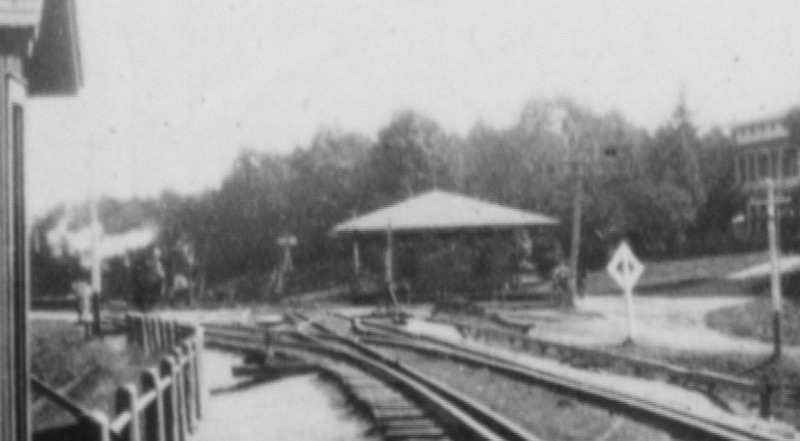 The Cascade House is partially hidden by trees to the right of the station. It appears that a train is approaching the station. It is interesting to compare this photograph with a stereoview (Image 47) taken of the same general scene in the 1870's before the wooden bridge burned.